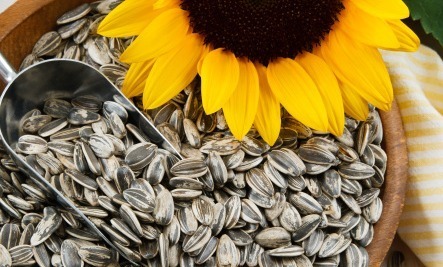 Store sunflower seeds in the fridge in an airtight glass jar. They can also be frozen. Like any nut or seed no longer in their hard shell, they will go rancid quickly if not stored at a low temperature. This is due to their high unsaturated oil content. An easy way to snack on these seeds is in bliss ball form. 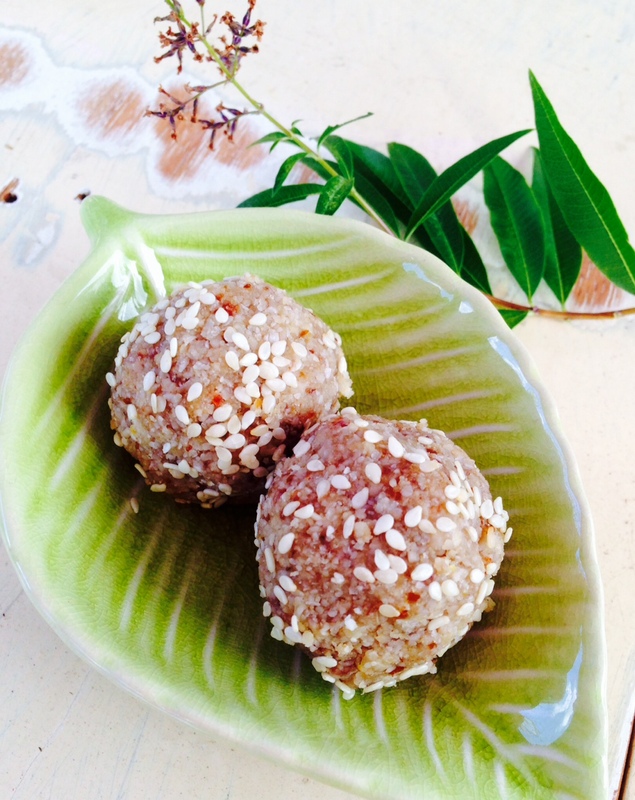 Sesame seeds are another ingredient in these bliss balls that pack a nutritional punch. These seeds contain a certain lignin called ‘sesamin’ which possesses potent antioxidant abilities. Research has shown sesamin may have potential to inhibit manufacture of cholesterol in the liver PLUS decrease cholesterol absorption from dietary sources. Better add sesame seeds to your list of cholesterol lowering super foods! High in vitamin E which makes it useful in cases of chronic skin diseases and burns. Sesame seeds can also be kept in the fridge or in the freezer. These snacks are easy to make in a big batch and freeze. They will last in the fridge for a week – store in a glass jar. Throw in all ingredients – EXCEPT for the coconut oil – into a food processor and pulse away! You need to pulse it enough to smoosh up the seeds so that they release their oils and soften the mix. If you have a high powered for processor – beware of pulsing it too long… you DO NOT want a butter. The final product should be crumbly still. Once you think it has been chopped up enough, grab a tablespoon-full of mixture and try to squeeze it into a walnut-sized ball. If it is too crumbly to stick together, add the coconut oil and pulse again until incorporated into mixture. Roll, roll, roll and then roll into extra sesame seeds – or cocunut. Whatever tickles your fancy. Store in a glass jar in the fridge or in a zip lick bag in the freezer.